Crushing it! Hali Karla — Hi! I'm Kat Sturges...Loving the Creative Life! Hali Karla has been one of my creative heroines for a few years now, and I really want to take one of her courses soon. She is described as a creative-soul-caregiver and that statement rings true through everything she puts out into the world. Hali is so deep, and when you begin to follow her musings you truly feel like she cares! In the modern world many people gloss over the emotional side of creativity, offering surface techniques that lack heart. Not Hali! From her blog posts, to her videos, to all of her classes; she reaches out from a level of spirit to connect on a whole different level. 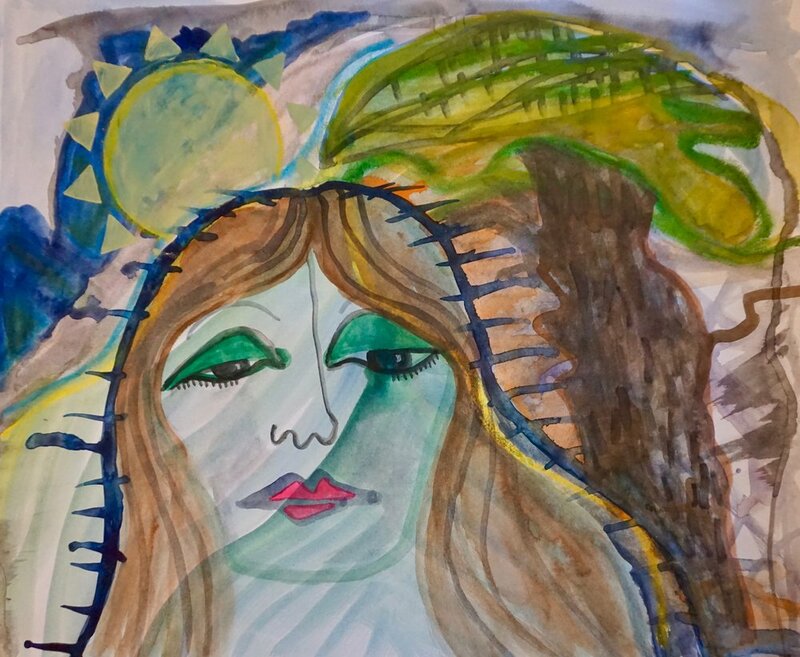 Her intuitive art is dripping with courage and tenacity, and I love how she creates a portal to a safe space where you can discover your creative voice. Hali offers a bunch of classes…her most notable offering is In the Stars, which is an astrological creative adventure through your birth chart. A big focus of her teaching is about intuitive painting, which is a more abstract freeform way to expression. Intuitive painting helps you dig deep to tap into the way you feel. I follow her on Instagram and just love how she sticks to what is true for her, regardless of how many likes or hearts she receives. A true creative sage with so much to offer the world, she guides you deeper into your own creative practice through introspection and helps you to discover your own creative voice. Here is a link to Hali’s website! With Hali’s guidance you can step out of the shadows into a creative world where you realize that there was always a place for you all along!